Working on gardens and lawns can be really tiresome. With these quite tedious jobs, a lot of people choose to hire someone to do all the work for them. However, let me tell you something: do you know I can do these jobs by myself? That’s completely possible since I have my set of tools and equipment, but, the one who’s been my best friend in doing these jobs is my Big 4 Wheeler Wheelbarrow: the best heavy duty wheelbarrow. It has a greater maximum capacity of 10 cubic feet. It can hold twice load of most traditional wheelbarrows. Its tub design makes no room for any spilling. It has 4 wheels that get you do only the pushing. It has Maintenance-free airless tires. Its 4 wheels make it easy to maneuver and keep a balance of control. This wheelbarrow is effective for home, gardening, agricultural and industrial use. The wheelbarrow’s tub is made of plastic compared to other wheelbarrows which have steel tubs. The wheelbarrow’s tub is not suitable to carry sharp and big objects like wood. The wheelbarrow tires’ rubber has the tendency to wear off. The wheelbarrow’s handles are placed too low. The wheelbarrow is quite expensive compared to other wheelbarrows. This Big 4 Wheeler Wheelbarrow has a maximum capacity of around 10 cubic feet. 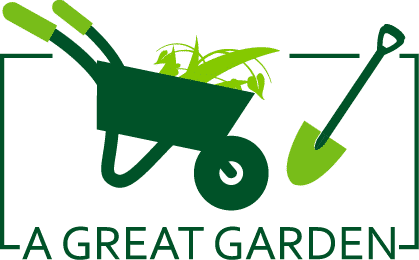 Compared to other wheelbarrows, this wheelbarrow can carry heavier loads from the wastes and stones you can gather from gardening and lawn mowing. Besides, this wheelbarrow can be used in carrying not only solid objects but even liquids and semi-liquids. 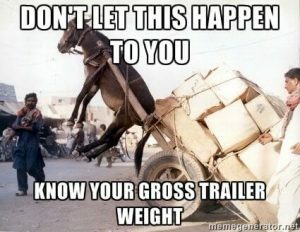 Honestly, you can put this wheelbarrow into great use no matter what your load is! With this Big 4 Wheeler Wheelbarrow’s heavy-duty and quality-made wheels, it can make carrying loads stable and make you exert the least effort possible. Its wheels have two varying sizes; 2 big wheels at the front and 2 smaller wheels at the back to ensure load stability at its best. Also, you can use this Big 4 Wheeler Wheelbarrow to carry any kinds of loads; nevertheless, it results in a stable use. Do you know that you can use this Wheelbarrow not only for household use but for uses that involve carrying loads from commercial, agricultural and construction areas too. Through its multi-purpose ability to carry loads that can be solid, semi-liquid and liquid, as well as carry loads from anywhere you need to use it, there’s no room for you to ask more; truly, this is the best heavy duty wheelbarrow. This Big 4 Wheeler Wheelbarrow has a suspension feature which makes you capable of putting different kinds of loads in the tub; you can carry solid, semi-liquid or liquid loads with ease by using this wheelbarrow! The suspension of this wheelbarrow was well-designed to be totally useful; unlike other one or two-wheel wheelbarrows available in the market, you can carry and accommodate heavier weights with this Big 4 Wheeler Wheelbarrow. The wheelbarrow’s tub is ergonomically-designed to carry any loads without the chance of spilling. The heavy duty wheelbarrow handles allow you to transport loads comfortably, too. Besides, this wheelbarrow allows you to carry and transport loads, no matter how heavy it is, in an easy manner. With this wheelbarrow’s feature, you are saving yourself from the risk of getting an injury as well as allow yourself to work worry-free. This Wheelbarrow has airless and heavy duty wheelbarrow tires which guarantee you it would not go flat and would perform better than pneumatic tires. This is most helpful especially if you use it in places where there are a lot of thorns, cacti, sharp objects and scattered nails along the area. It has heavy duty wheelbarrow wheels that won’t require you to inflate it all the time. 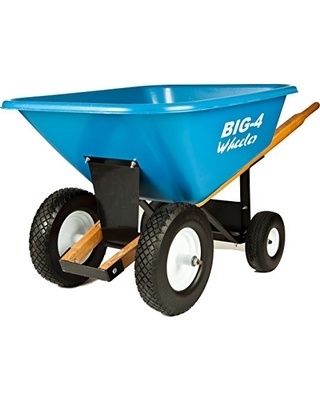 By using this Big-4 Wheeler Wheelbarrow, it is guaranteed you are going to save yourself lots of energy to do other things after you use it for carrying heavy loads. Using this wheelbarrow reduces the stress on your body areas that do the work like your arms, back, legs and shoulders. It also makes your job effortless because you are going just to do the pushing aside of lifting and pushing the wheelbarrow at the same time. What makes this Big-4 Wheeler Wheelbarrow a great value for money? With all the features and benefits it can give you such as simple work, maximum load capacity, non-spill ability, worry-free airless tires, and multi-purpose ability, what more can you ask for from this wheelbarrow? In addition, through the comfort and reduced stress this wheelbarrow provides you when you use it, you are saving yourself from getting aches and injuries. Thus, this is the best heavy duty wheelbarrow ever. This Big-4 Wheeler Wheelbarrow will take around an hour to be completely assembled. In assembling this wheelbarrow, you need to place the brace plate and rear wheels well to make the wheelbarrow work.In addition, it is possible to assemble the wheelbarrow alone. However, if you can ask help, it would be easier to have someone assist you in assembling this wheelbarrow. This Big-4 Wheeler Wheelbarrow is made for people who need some help in carrying loads from wastes accumulated from gardening, lawn mowing, or even from construction. This wheelbarrow is also made for people working in the household, commercial and agricultural areas who need to use it. Q: What is this wheelbarrow’s capacity when converted to pounds? 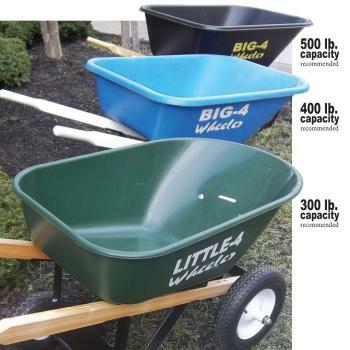 A: This wheelbarrows capacity is 10 cubic feet or equivalent to around 624 lbs. Thus, it would be ideal to use this wheelbarrow in carrying any kinds of a load; you can use this to carry solid objects and liquids. Q: What material is this wheelbarrow made? A: This wheelbarrow is made of heavy-duty plastic reliable when used to carry different kinds of loads. Q: Is this wheelbarrow easy to assemble? A: Compared to other wheelbarrows, this wheelbarrow is quite hard to assemble and would take a longer time to be fully assembled. With all the benefits and features this Big 4 Wheeler Wheelbarrow has. Indeed, it can be considered the best heavy duty wheelbarrow. It has a non-spill wheelbarrow tub and has a capacity of 10 cubic feet, which is ideal for carrying any kinds of load, whether liquid or solid. It has a stable suspension, comfortable handles to grip on as well as 4 airless tires which make this Big 4 Wheeler Wheelbarrow perfect and easy to maneuver even if the wheelbarrow has a heavy load. Though the tub of this wheelbarrow is made of plastic, it can still be used to carry different kinds of loads just like other wheelbarrows with metal tubs. Also, though this wheelbarrow may be quite expensive compared to other wheelbarrows, it has an overall advantage since it provides more and better benefits. Thus, this Big 4 Wheeler Wheelbarrow is definitely a great value for money.